IF YOU ARE LOOKING FOR A DAY CAMP FULL OF FUN WITH A VARIETY OF CREATIVE PROJECTS, THIS CAMP IS FOR YOU! 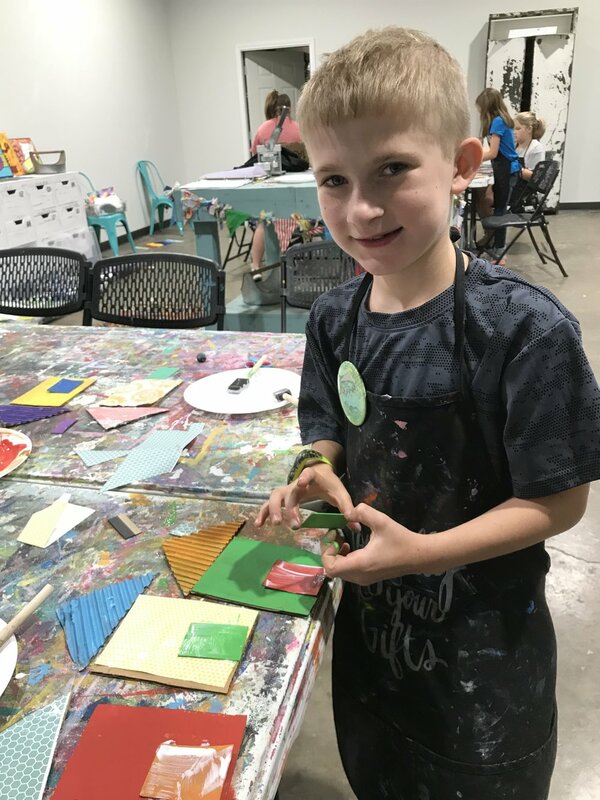 YOUR CHILD WILL BE EXPOSED TO MANY DIFFERENT ART FORMS INCLUDING PAINTING WITH ACRYLICS AND WATERCOLORS, DRAWING, MIXED MEDIA COLLAGE, AND MORE. WITH TWO OR THREE DIFFERENT PROJECTS EACH DAY, THIS CAMP IS THE PERFECT WAY TO START DEVELOPING ARTISTIC SKILLS. Camps will be held daily, 8AM-12PM at Mojoy Studio in West Monroe. Supplies and snacks will be provided. Click on your preferred dates to sign-up. *Sessions labeled “Session One” will have the same content. Sessions labeled “Session Two” will have the same content. If you’d like to sign your child up for more than one week, make sure you choose a “Session One” and “Session Two”.